Fun Features: The ABC's of Cookie Baking section in the front of the book is packed with fun stuff, like "Kitchen Tools: meet your new best friends", "Cookie Speak: what we mean when we say...", and "Fun with Decorating: Show off your skills with these cool tricks". Plus, every cookie is pictures on the "intro" page to each chapter...this way, you get an idea in advance what they're "supposed to" look like. My Thoughts/Review: Delicious, tempting, nostalgia-inducing with a fun format. This is a great resource to have around the kitchen. I love having a huge arsenal full of different types of cookies to line on trays for either holidays or school events or bake sales. Heck, just to have around the house sometimes is great, too. The different sections in the book are fantastic. 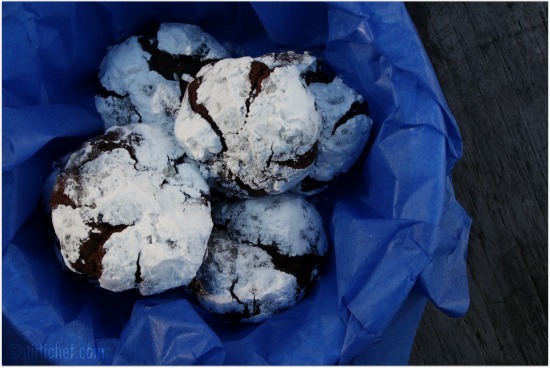 If I want chocolate cookies...I flip open the chapter. If I want something spicy and comforting (this is my favorite section), I have a whole chapter full of choices to contemplate. And like any good baking book should, it has cheat sheets and conversion charts. The fun part? They're printed right onto the inside of the front and back covers. Fantastic photos, fun layout, recipes that are simple enough for the beginning baker. 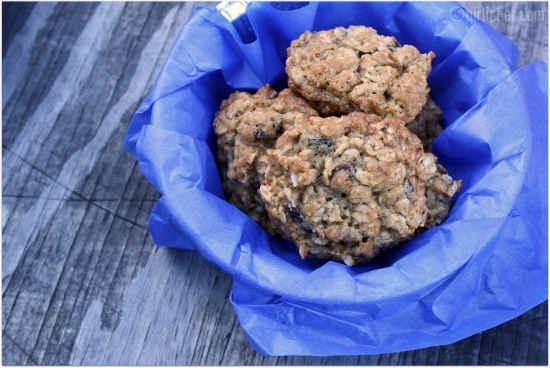 Recipes that satisfy urges we carry over from childhood. Recipes to satisfy the more adult-type cravings we get. This book is fantastic...it has them all! I tested out four different cookies and donated the majority of them to a fundraiser that was going on at hubby's workplace. They were all fantastic- I heard compliments on every type. 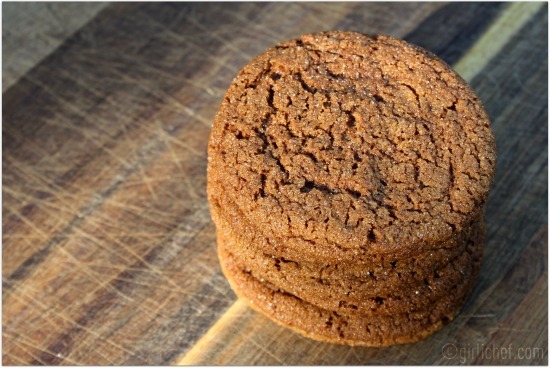 But my personal favorite (and my daughter's, as well) were the Chewy Molasses Spice Cookies! Sift flour, baking soda, salt, and spices into a bowl and set aside. Cream butter and sugars on medium speed for several minutes, until light and fluffy. Add the egg and vanilla and mix until combined. Add molasses and mix until combined. Add flour mixture in thirds and mix on low until just incorporated. Cover dough and refrigerate for ~20 minutes or up to overnight. 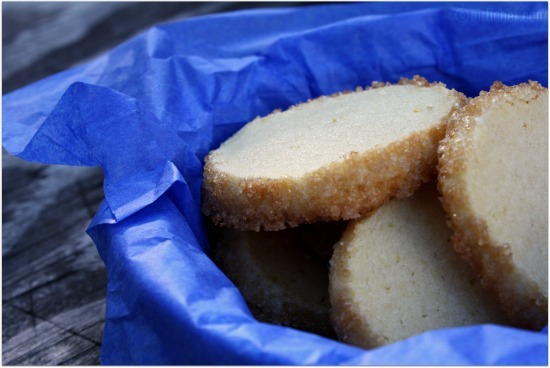 Preheat oven to 325° F. Line cookie sheet w/ parchment or a silpat. Roll 1 1/2-inch (~1 Tbs.) dough balls in the extra sugar and place on prepared sheets, ~2" apart. Bake for ~15-18 minutes, rotating halfway through if baking more than one pan at a time. Cool on sheets for ~5 minutes before transferring to a wire rack to finish cooling. 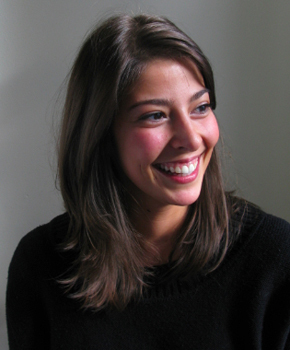 about the author: Stacy Adimando is the author of The Cookiepedia and the current Food Editor at Every Day with Rachael Ray magazine. On her quest to keep making and sharing good food, she's been a restaurant cook, a magazine writer and editor, a recipe developer, a blogger for seriouseats.com, and a cookbook creator. Stacy joined Every Day with Rachael Ray in 2008 and has covered topics on everything from the best techniques for shucking, cracking and slurping summer shellfish, to how to plan a multi-restaurant food crawl on your next vacation. 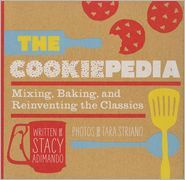 Her first cookbook, The Cookiepedia, is a lovable collection of 50 classic cookie recipes reinvented for the modern baker. The colorful, quirky book features delicious recipes and genius variations for the cookies everyone loves—from Sugar Cookies, Spritz Cookies and Gingersnaps to Snickerdoodles, Thin Mints and Thick and Chewy Chocolate Chips. 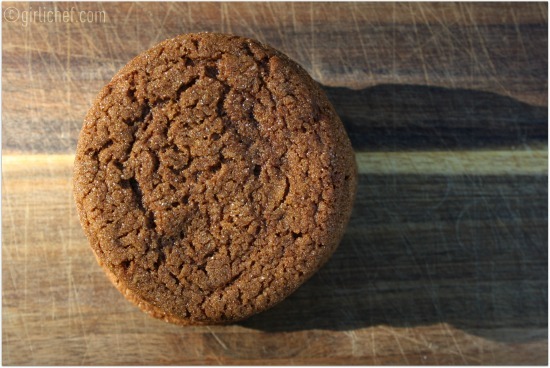 She is a graduate of The Institute of Culinary Education, and lives in Brooklyn, where she often starts the morning on her front stoop—with a cookie, and plenty of espresso.